The Wainwright Fund was established under the terms of the will of the late Arnold Wainwright, Q.C. (1879-1967), B.A. (1899), B.C.L. (1902), D.C.L. hon. causa (1963), of the Montreal Bar. Me. 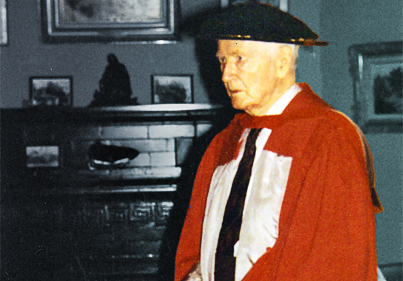 Wainwright taught Civil law at McGill University from 1909 to 1934. His merits as a teacher of the Civil Law for over twenty-five years were recognized by the University when it named him Emeritus Professor upon his retirement in 1934. Moreover, in 1963, the degree of Doctor of Civil Law honoris causa was conferred upon him by the University. Me. Wainwright bequeathed the residue of his estate to McGill University for the use of the Faculty of Law. In so doing, he intended to promote the scholarly study of the Civil Law of Quebec, which had always remained his abiding interest throughout his long and distinguished career. 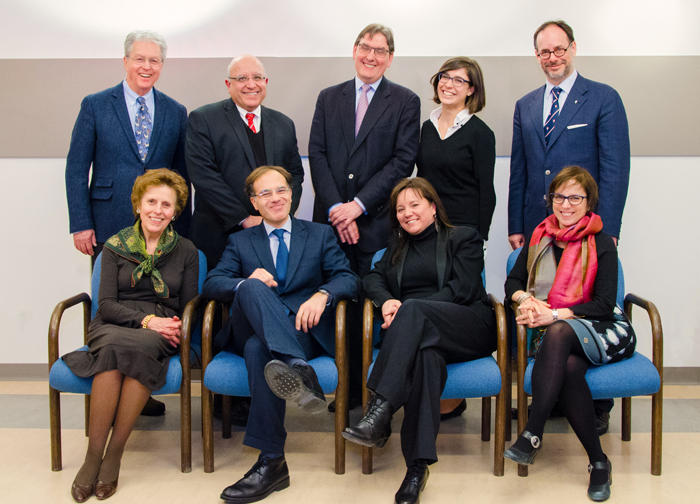 The 2015 Wainwright Lecture. 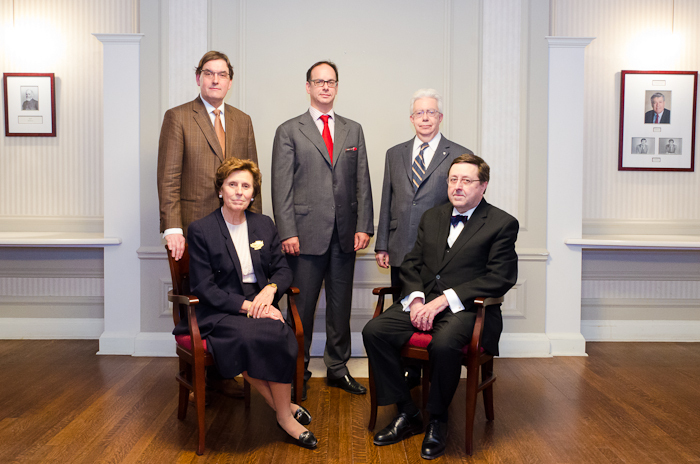 Standing - Professor Robert Godin; Provost Anthony Masi; Wainwright Librarian Daniel Boyer; Law student Mireille Fournier; Dean Daniel Jutras, current holder of the Wainwright Chair. Seated - Emerita Wainwright Professor Madeleine Cantin Cumyn; 2015 Wainwright Lecturer, Prof. Giorgio Resta (U. Bari); Professor Nathalie Vézina (U. Sherbrooke); and Assistant Dean Véronique Bélanger. 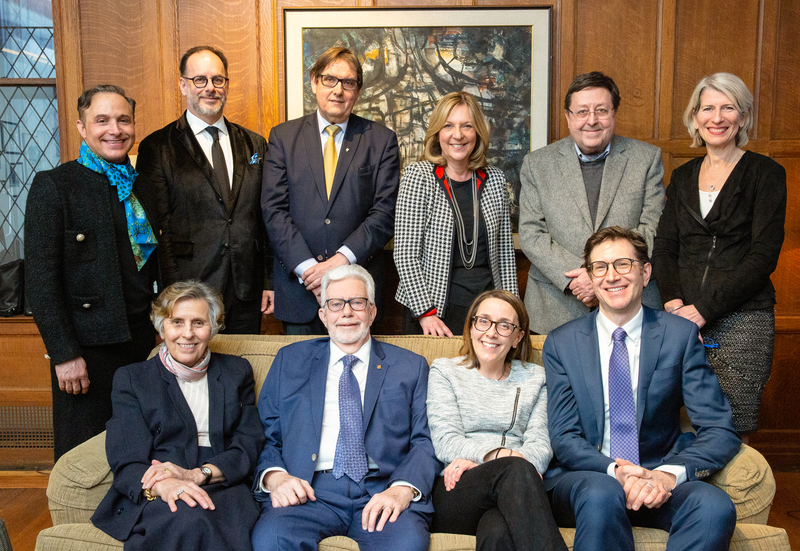 Absent from the photo: Emeritus Wainwright Professor Pierre-Gabriel Jobin. A historical gathering for the 2012 Wainwright Lecture: Standing - Daniel Boyer, Wainwright Librarian; Dean Daniel Jutras, current holder of the Wainwright Chair; Emeritus Wainwright Professor Pierre-Gabriel Jobin. Seated: Emerita Wainwright Professor Madeleine Cantin Cumyn and Emeritus Wainwright Professor, Justice Yves-Marie Morissette.